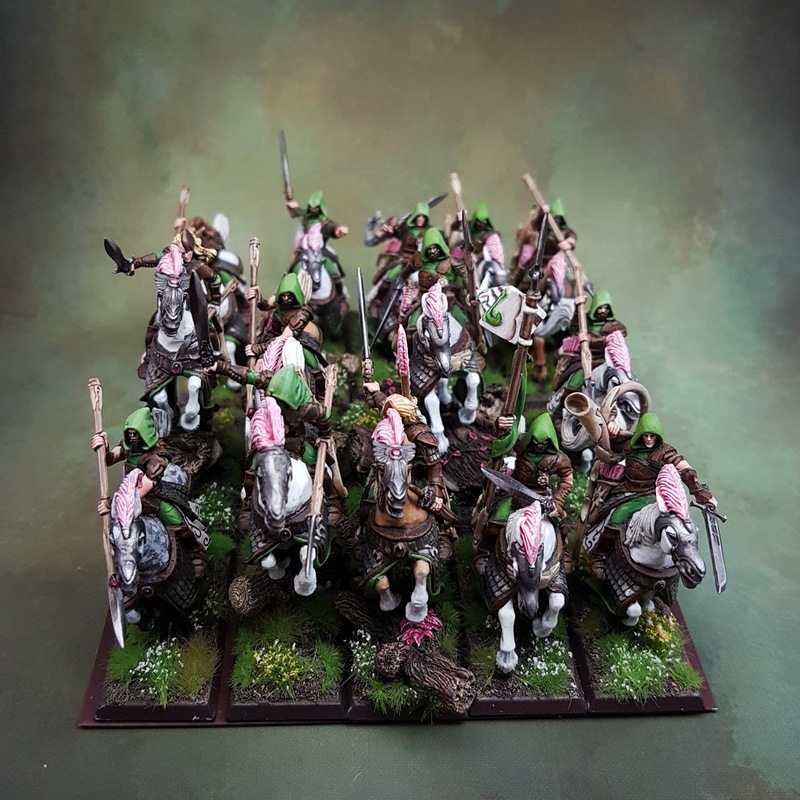 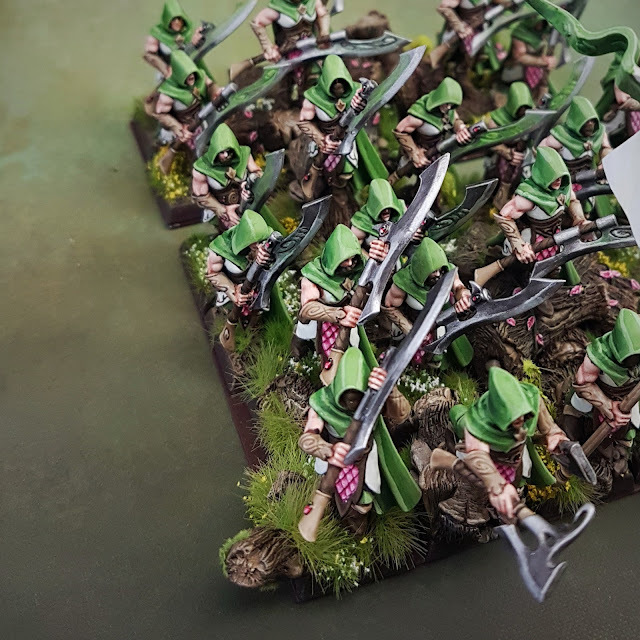 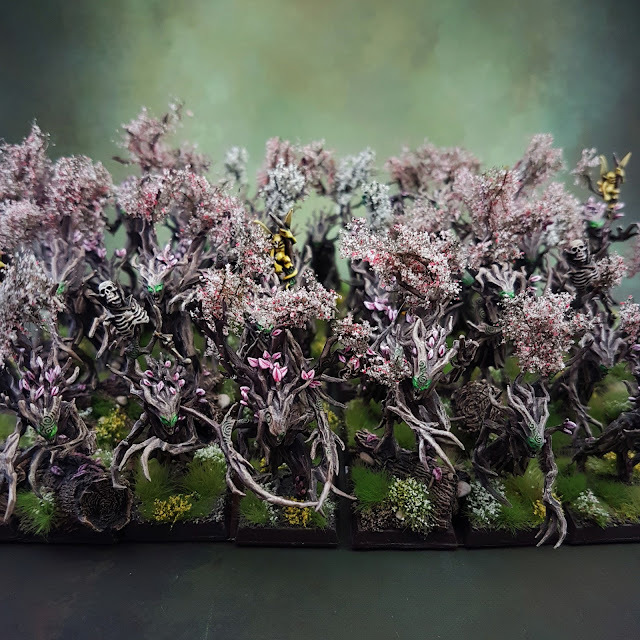 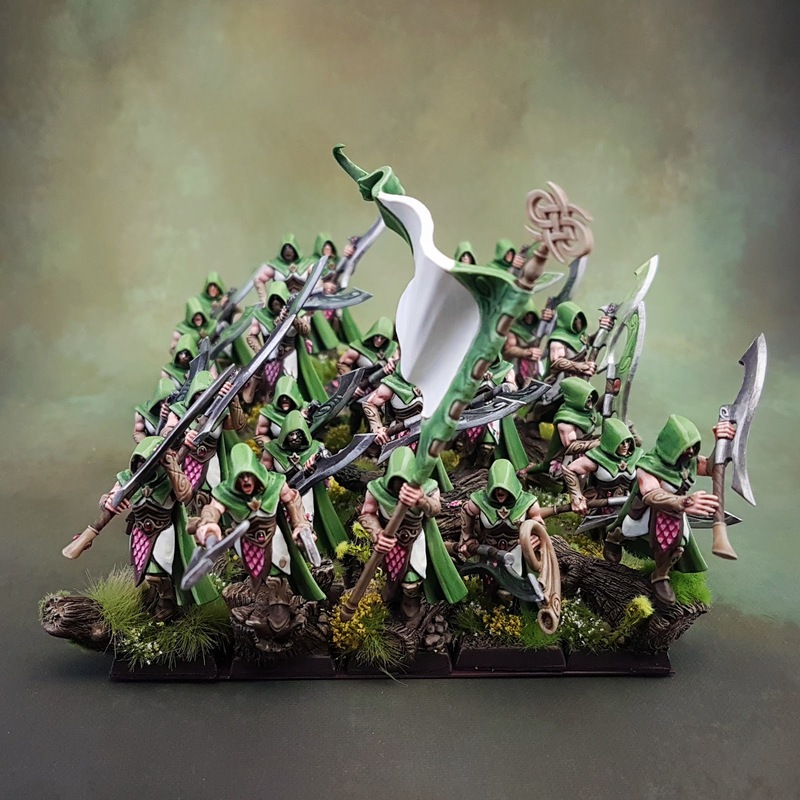 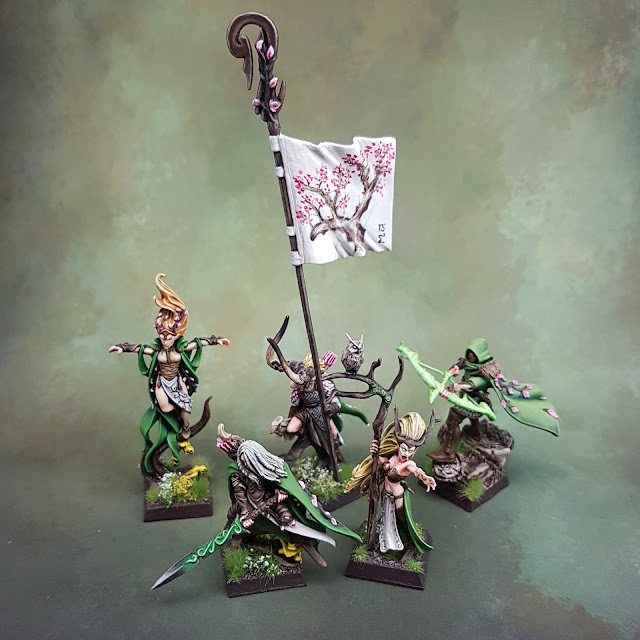 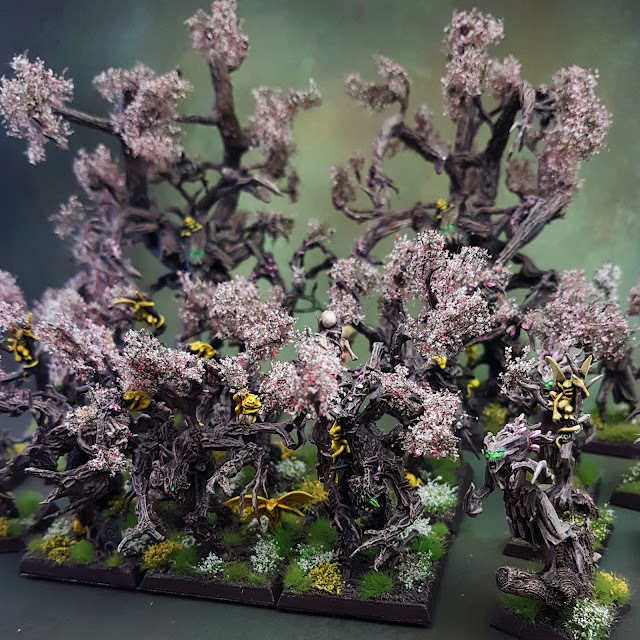 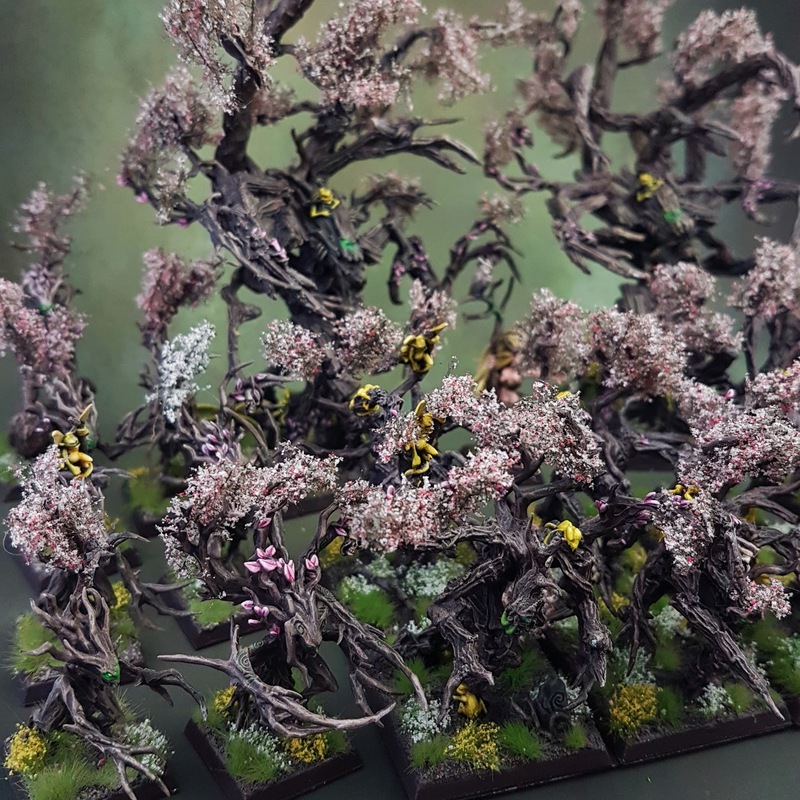 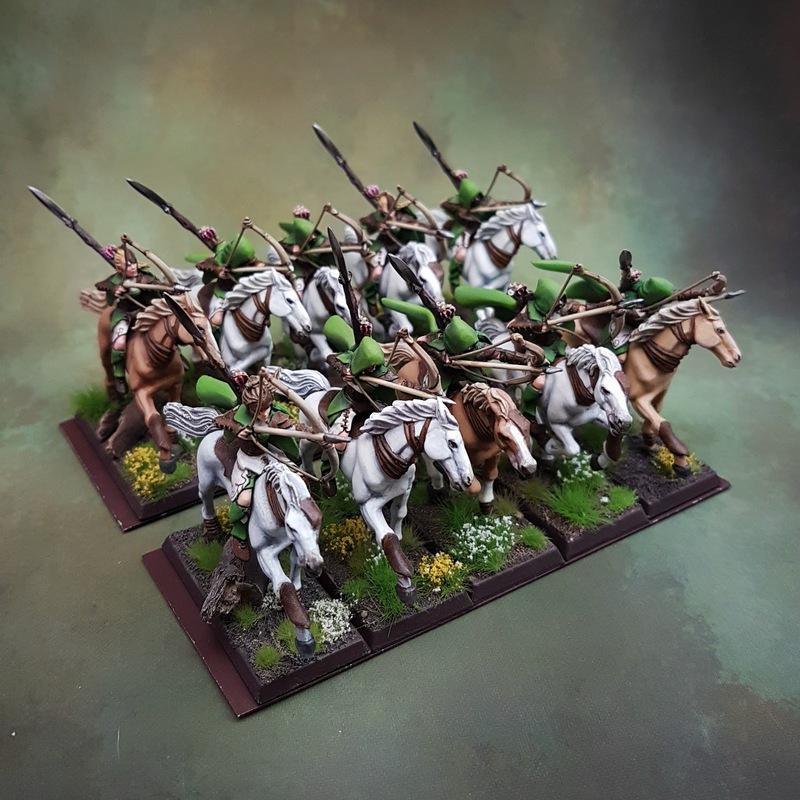 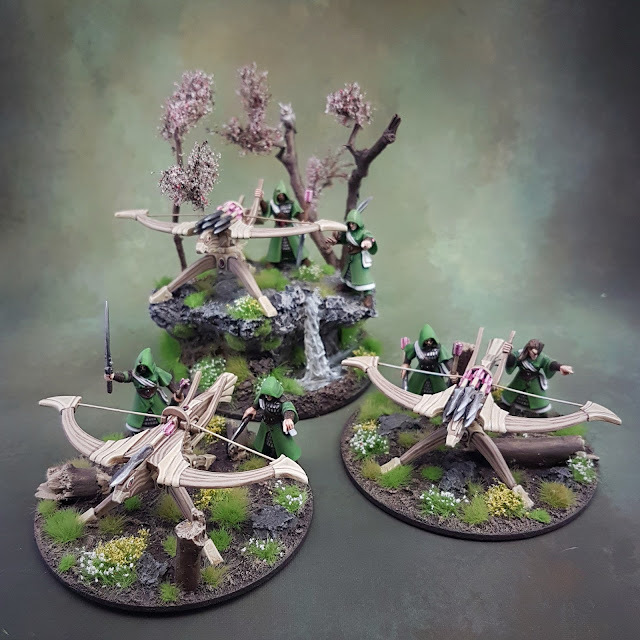 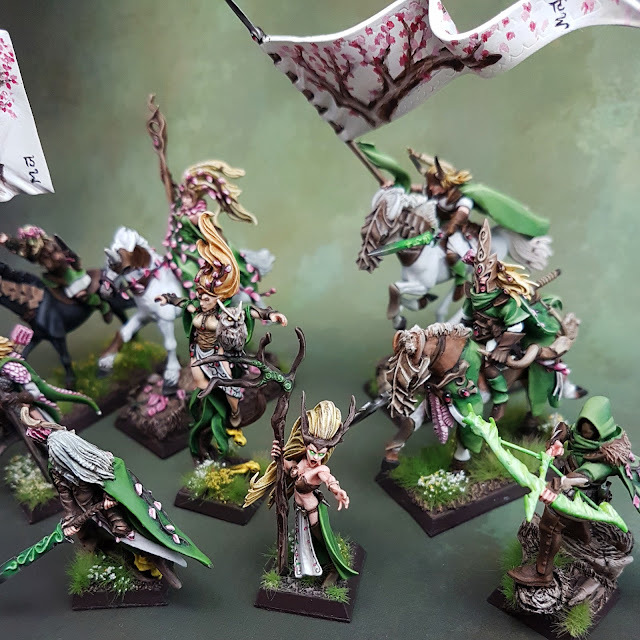 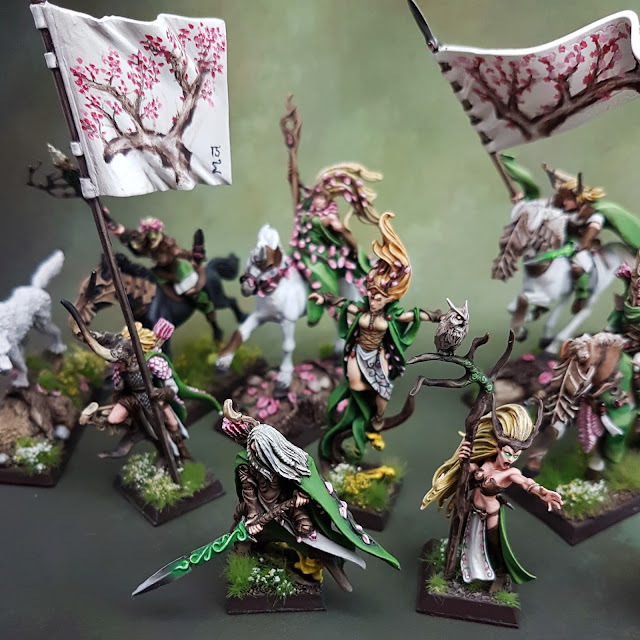 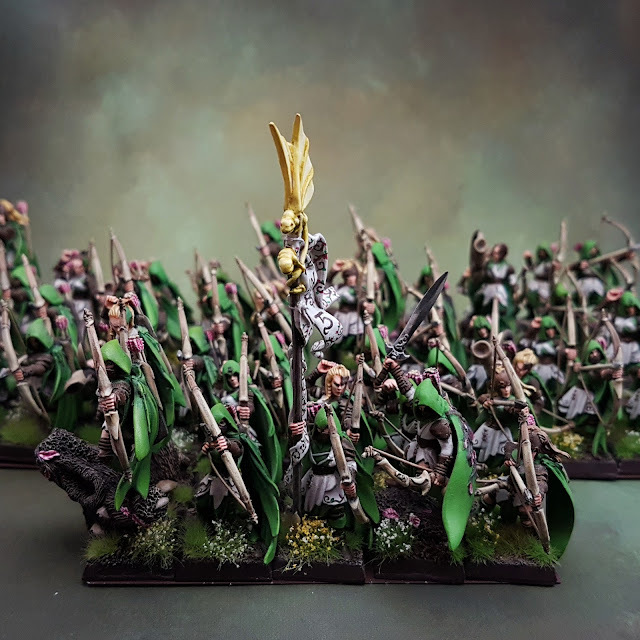 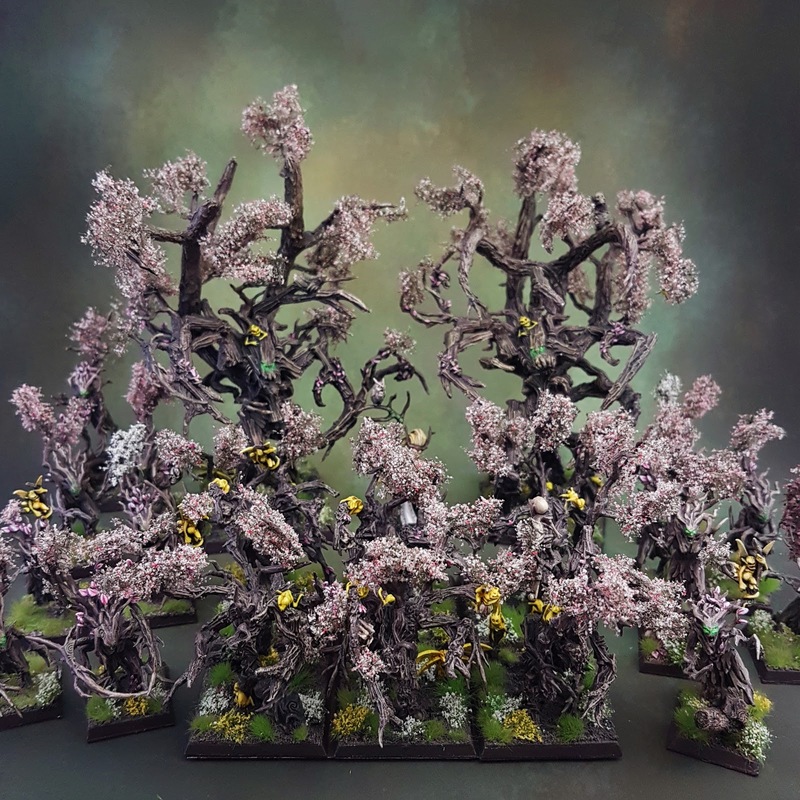 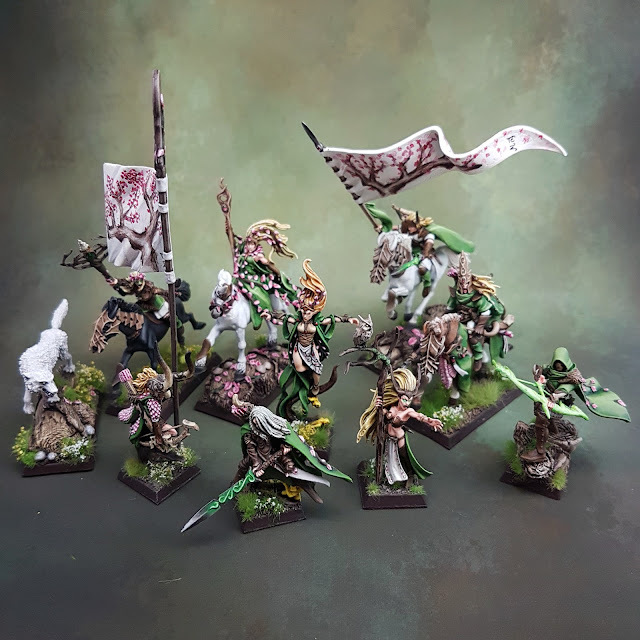 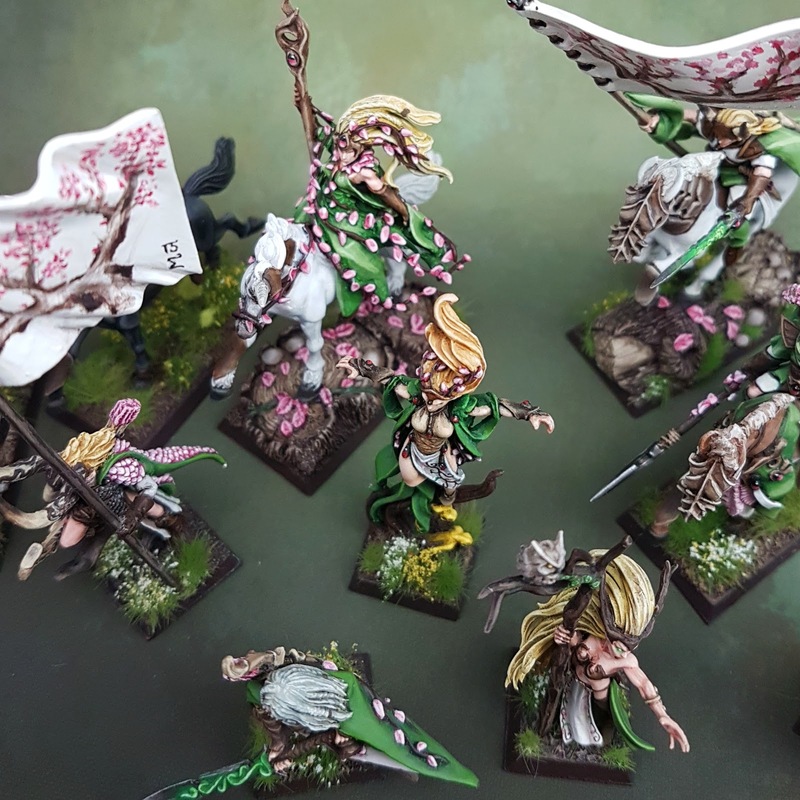 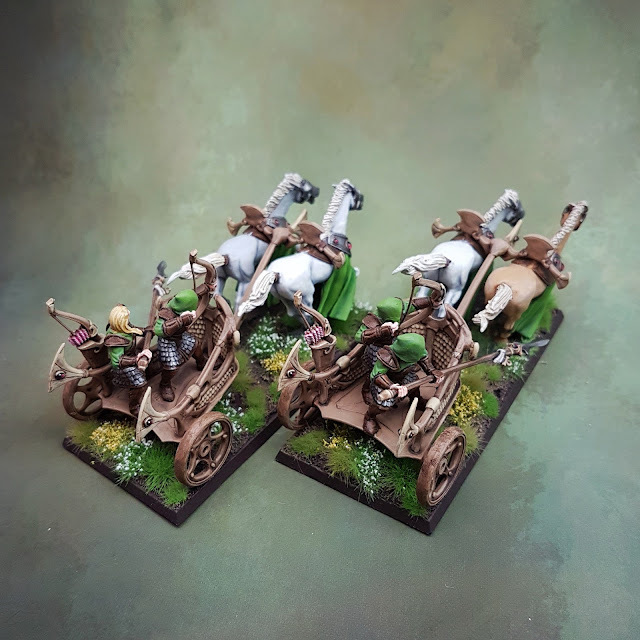 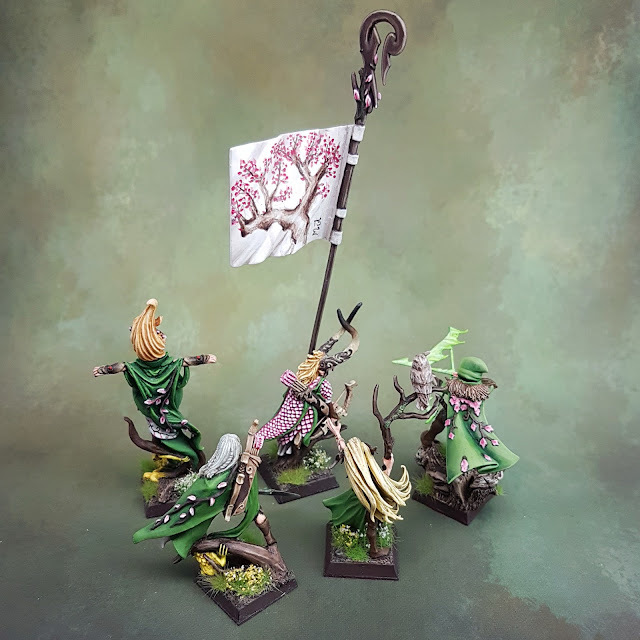 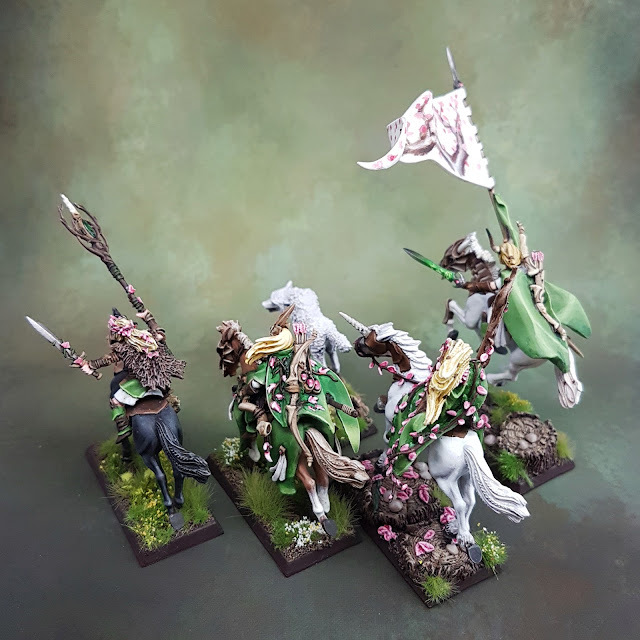 Hi guys, no update on stuff I´m working on right now, but I wanna show you some more miniatures of my Wood Elves army: The Cherry Blossom Grove. Hi. 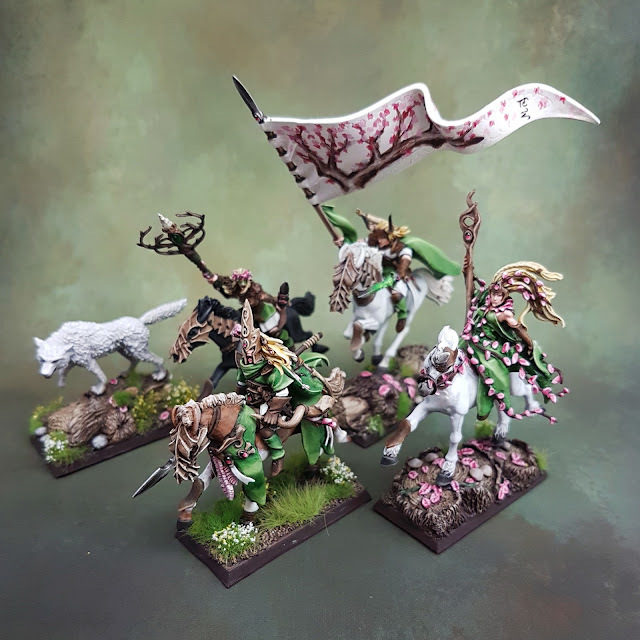 Amazing looking models. 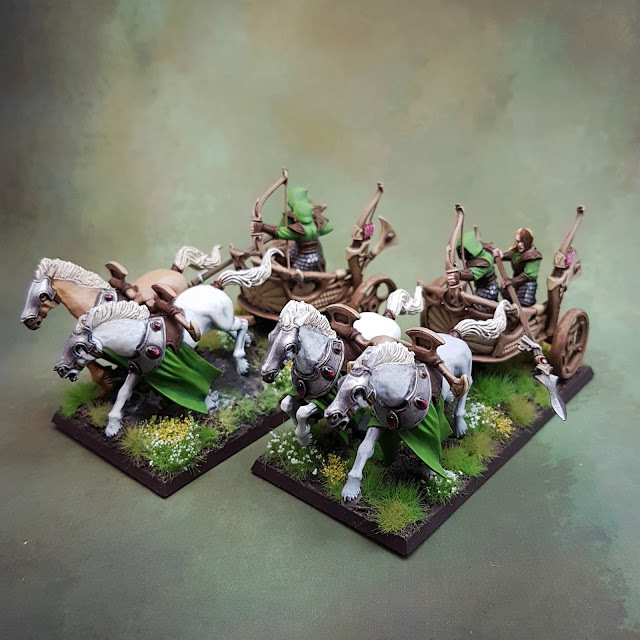 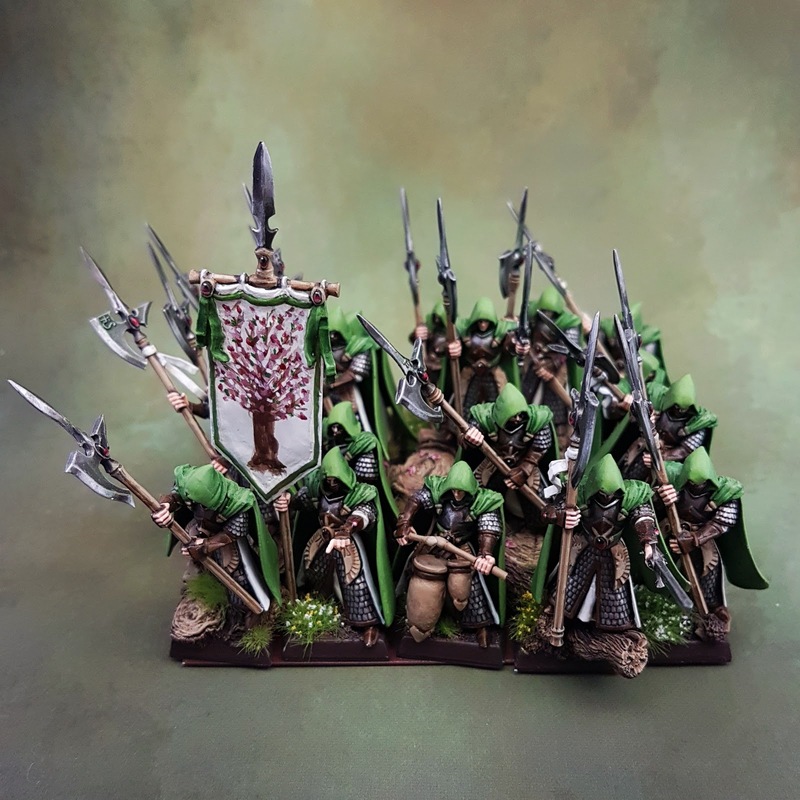 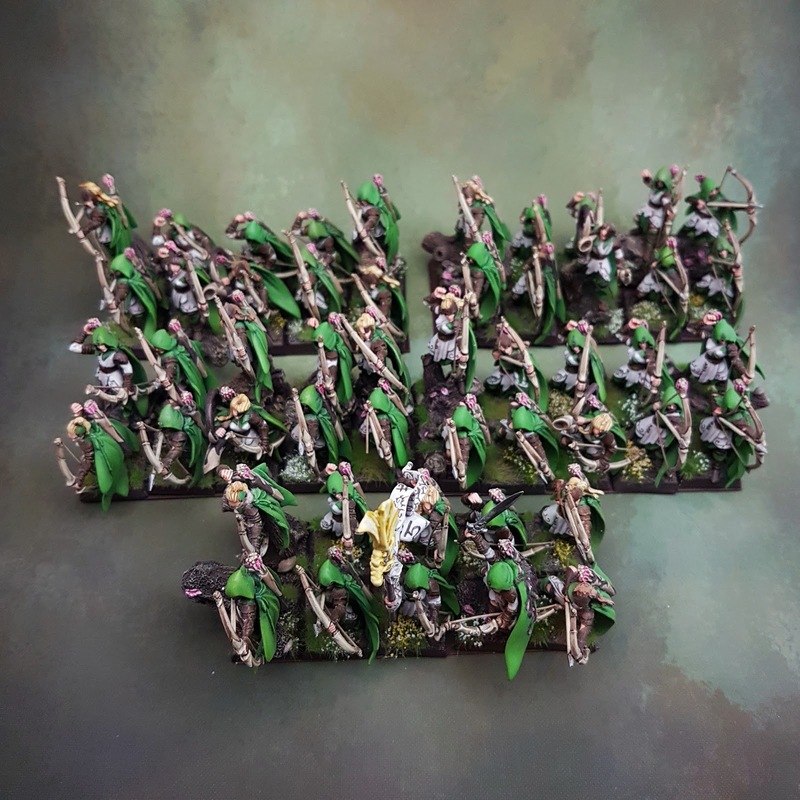 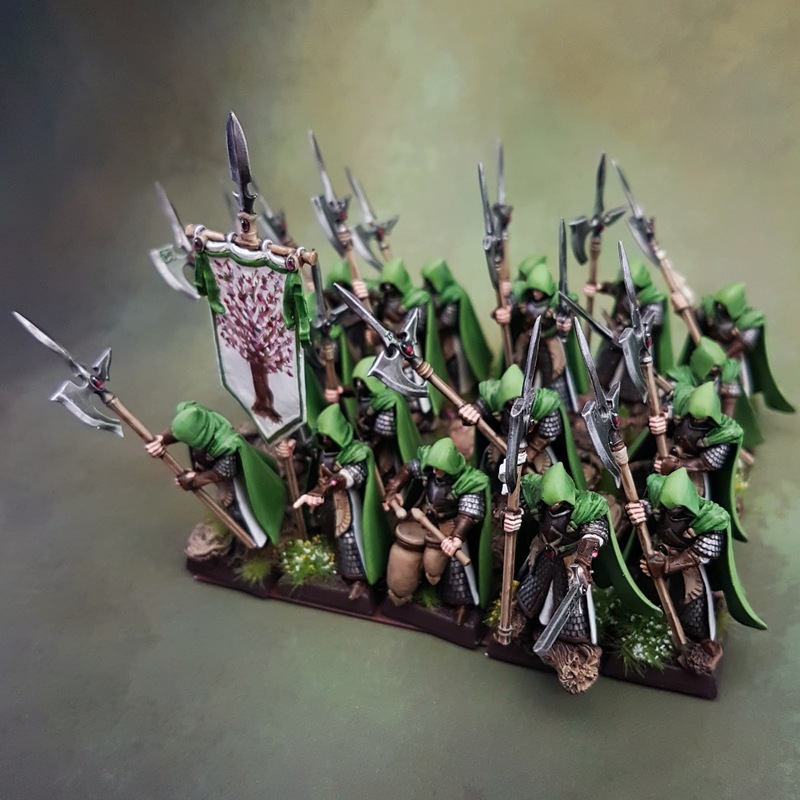 I am building a Wood Elf army and I am very interested in how you made your bases. 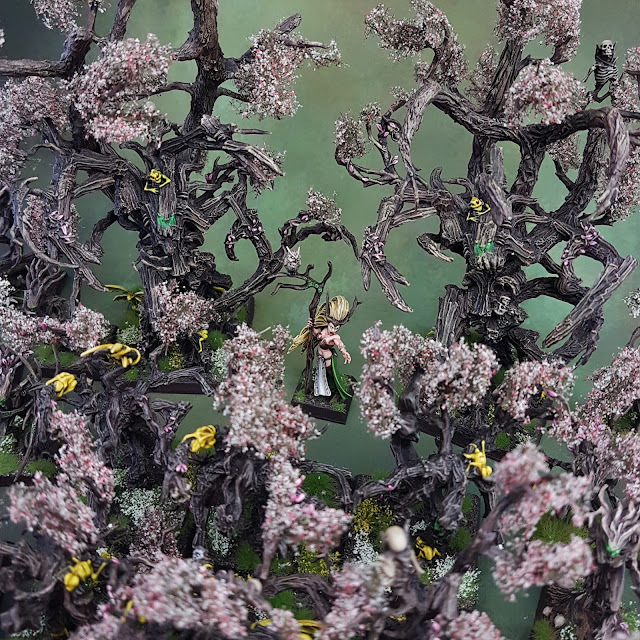 I have a few questions if you don't mind. 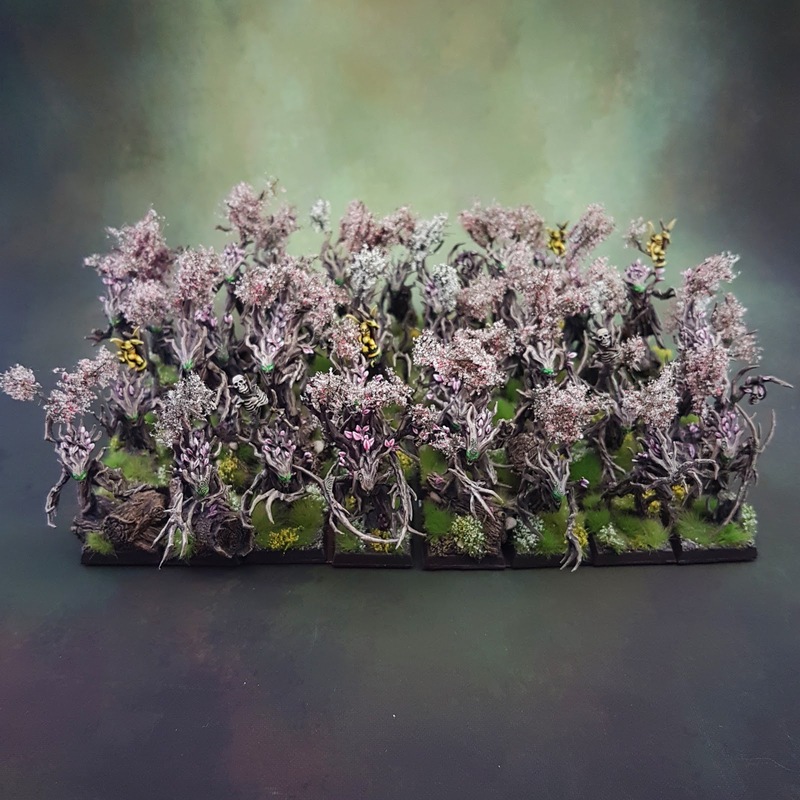 How did you get the "wildflower" effect? 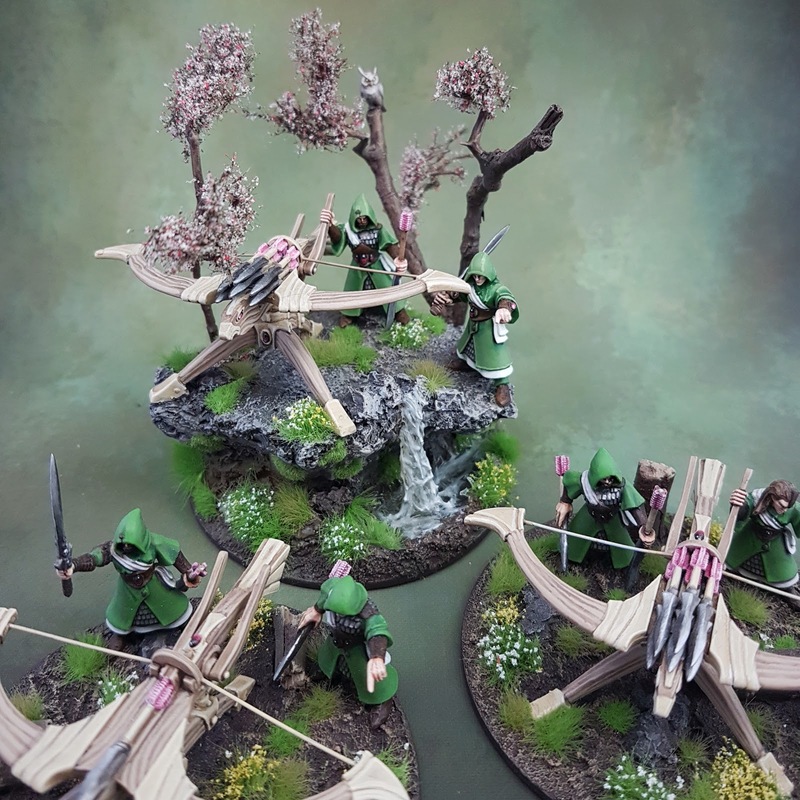 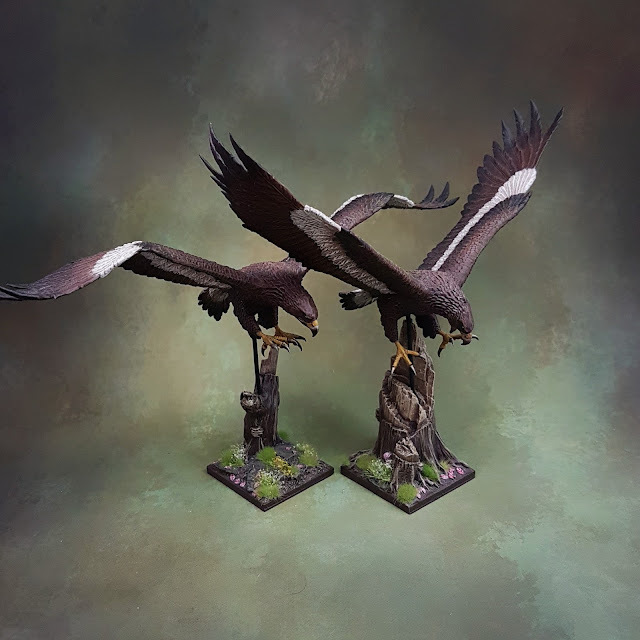 Where did you get the logs/tree branches for the bases?